Three space station crew members packed up for a fiery return to Earth Thursday, wrapping up a nearly 200-day mission that was extended one month at the last minute because of a Russian rocket failure in April that threw a wrench into the lab’s crew rotation schedule. Originally scheduled for landing May 13, European Space Agency astronaut Samantha Cristoforetti, an Italian Air Force captain and fighter pilot making her first space flight, spoke for her crewmates when she said she welcomed the unexpected bonus month in orbit. 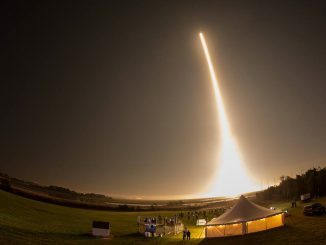 The extension also gave her time to set a new space record. On June 7, she moved past NASA astronaut Sunita Williams, who logged 195 days aloft in 2006-07, to become the world’s most experienced female astronaut. The male record for a single flight, set by cosmonaut Valery Polyakov during a stay aboard the Mir space station in 1994-95, stands at 438 days. The Soyuz TMA-15M spacecraft is scheduled to undock from the space station’s Earth-facing Rassvet module at 6:20 a.m. EDT (GMT-4) Thursday. Soyuz commander Anton Shkaplerov will be strapped into the ship’s center seat, flanked on the left by flight engineer Cristoforetti and on the right by outgoing space station commander Terry Virts. After moving a safe distance away, Shkaplerov plans to oversee a four-minute 41-second deorbit rocket firing starting at 8:51 a.m. to slow the craft by about 286 mph, just enough to drop the far side of its orbit deep into the atmosphere. If all goes well, the central command module carrying the crew will slam into the discernible atmosphere around 9:21 a.m. at an altitude of about 62 miles. After plunging through the zone of maximum aerodynamic heating, the capsule’s main parachute will unfurl and the spacecraft will settle to a jarring rocket-assisted touchdown on the steppe of Kazakhstan around 9:43 a.m.
Russian recovery crews stationed near the landing zone were expected to reach the spacecraft within minutes to help the crew out of the cramped descent module, carrying them to nearby recliners for quick medical checks and satellite phone calls home to friends and family as they begin their re-adaptation to gravity. Mission duration was expected to be 199 days, 16 hours, 42 minutes and 5 seconds covering 3,184 orbits and 84.2 million miles since launch March 23 from the Baikonur Cosmodrome in Kazakhstan. Shkaplerov will have logged 364 days in space during two flights while Virts’ total, including a space shuttle flight, will stand at 212 days. For Cristoforetti, the long-duration flight aboard the space station was the culmination of a life-long dream that started when she was a child growing up in the Italian Alps where her parents operated a hotel. The strength of that desire translated to an acceptance of risk. After more extensive medical checks in a nearby tent, the crew will fly by helicopter to Karaganda for an official Kazakh welcoming ceremony. Then Shkaplerov will fly back to Star City near Moscow while Virts and Cristoforetti board a NASA jet for the long flight back to Houston and the Johnson Space Center. Left behind in orbit will be Expedition 44 commander Gennady Padalka, NASA astronaut Scott Kelly and cosmonaut Mikhail Kornienko. Launched March 27 aboard the Soyuz TMA-16M ferry craft, Scott and Kornienko plan to spend nearly a full year in space to help researchers learn more about the long-term effects of weightlessness and exposure to space radiation. Padalka, Kelly and Kornienko originally expected to have the space station to themselves for about two weeks before welcoming three fresh crew members aboard: Soyuz TMA-17M commander Oleg Kononenko, NASA astronaut Kjell Lindgren and Japanese astronaut Kimiya Yui. 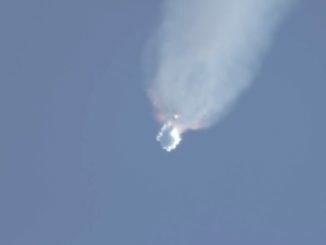 But on April 28, a Soyuz rocket carrying a Russian Progress supply ship suffered a third stage malfunction of some sort that sent the cargo vehicle spinning out of control. In the wake of the failure, Russian mission managers decided to delay the next Soyuz launch to late July to give engineers time to figure out what went wrong with the Progress flight and implement corrective actions. 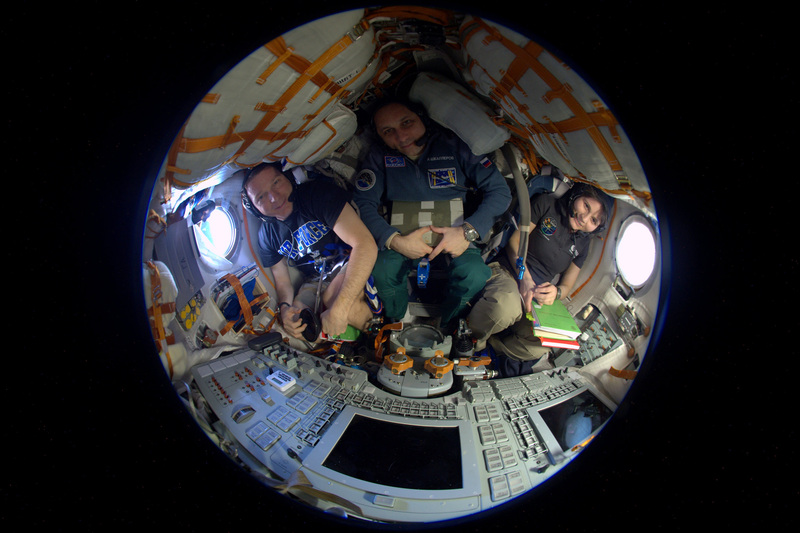 At the same time, they delayed the return of Shkaplerov, Virts and Cristoforetti to keep a full crew of six on board the station for as long as possible to maximize the crew time available for research and maintenance. But Soyuz spacecraft are only certified for 200 days in space and the June 11 entry will occur at the end of the certification window. 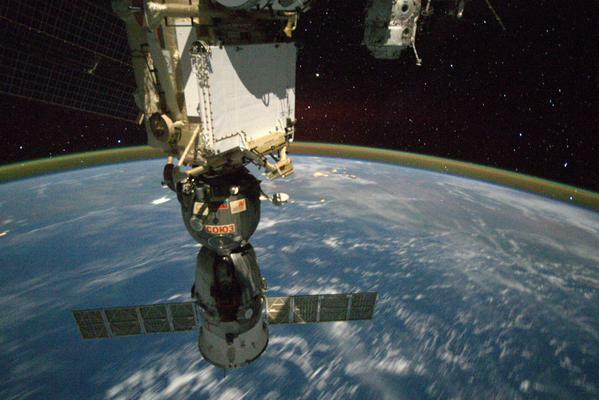 As it is, Padalka, Kelly and Kornienko will have the station to themselves for a month and a half. And with only three crew members available, the pace of research will be reduced until the Soyuz TMA-17M crew arrives in late July. In a recent interview with CBS News, Kelly downplayed the shortfall. The science he and Kornienko are doing as part of their long-duration mission will continue, Kelly said, “but certainly at a reduced rate.” Reduced crew or not, the pace of the work will remain intense. And far from routine. “I think anyone that’s in the same building or the same place for a really long period of time, some parts of it become routine,” Kelly said. “But this is a really big space station, we do a lot of various kinds of work here, different kinds of science experiments, we have over 400 different experiments going on at any one time in different areas, from basic science research to medical technology that hopefully will benefit more people on Earth. Because Kelly and Kornienko are spending nearly a full year in space, the Russians plan to launch a Soyuz ferry craft — TMA-18M — on a so-called “taxi” flight on Sept. 1 carrying commander Sergey Volkov, ESA astronaut Andreas Mogensen and a yet-to-be named cosmonaut. The third seat originally was taken by singer and would-be space tourist Sarah Brightman, but she recently withdrew for undisclosed reasons. NASA is in the midst of a major reconfiguration of the space station to ready the lab complex for dockings by Boeing and SpaceX crew ships starting in 2017. Earlier this year, Virts participated in three spacewalks totaling 19 hours and two minutes to install wiring needed by new docking adapters. Late last month, a storage module was robotically moved from the Earth-facing port of the central Unity module and attached to the forward port of the nearby Tranquility compartment. That freed up an Earth-facing port for U.S. cargo ships. Another cargo port already is available on the Earth-facing port of the forward Harmony module. The new U.S. crew capsules will dock at Harmony’s forward and space-facing ports. The first new docking adapter is scheduled for launch June 26 aboard a SpaceX Dragon cargo ship. It will be attached to pressurized mating adapter no. 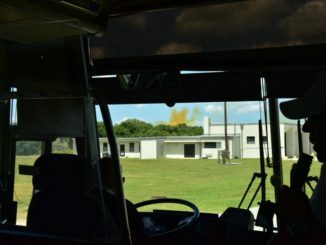 2, or PMA-2, on the front of Harmony, where space shuttles once docked, in early August. Kelly and Lindgren plan a spacewalk to connect power and data cables. In November, PMA-3, currently stored on the outboard port of the Tranquility module, will be robotically moved to Harmony’s space-facing port. The second docking adapter will be delivered aboard another Dragon capsule and mounted on the end of PMA-3 early next year. When the work is finished, the space station will boast two ports for U.S. crew ferry ships and two ports for use by American cargo craft. The Russian segment of the station already features four ports that can be used by piloted Soyuz or automated Progress cargo ships. Cristoforetti views the space station, and the experienced gained by building and operating the lab, a critical stepping stone to what she sees as humanity’s eventual move into the solar system. “I think there is a sense of destiny in this whole idea of space exploration, right? If you ask anybody to imagine humanity in 500 years, do you imagine humanity being still Earth bound?” she asked. “I think we all intuitively, spontaneously imagine humanity as being able to travel in space, travel to the moon, travel to Mars, travel to asteroids, live there, exploit resources, go on vacation, whatever, do all the things human beings like to do.